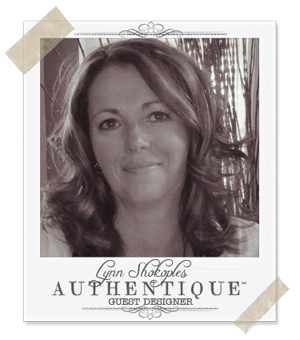 We are very excited to feature Guest Designer Lynn Shokoples on the blog today! We've seen Lynn's amazing work pop up on our Facebook page and in our monthly challenges, so we were thrilled when she agreed to let us feature her today! We will leave it to Lynn to tell you a little about herself and her beautiful projects that she has to share today! I am so thrilled and honored to be a Guest Designer with Authentique today. I have been scrapbooking for as long as I can remember. 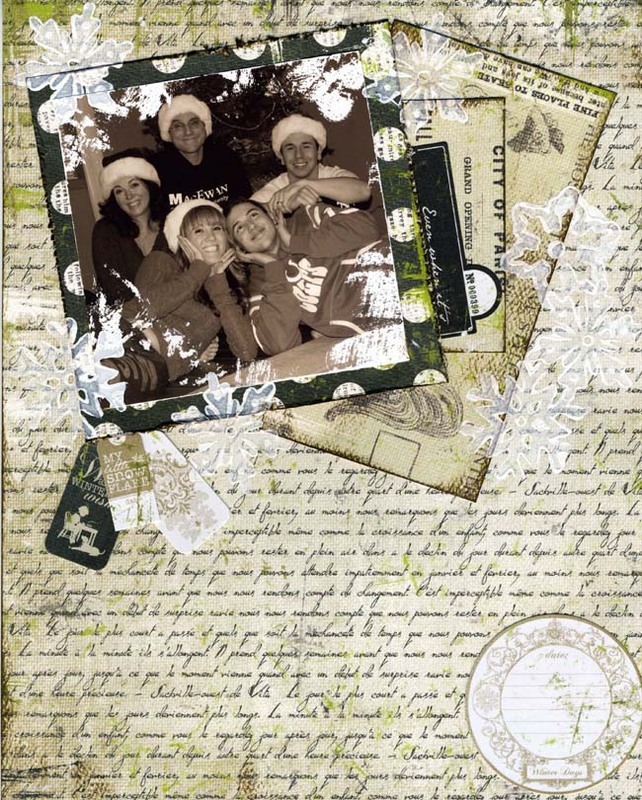 I love to document my families journey through my scrapbooking. I remember when I saw the first Authentique collection how taken aback I was with the Detail stickers. I read every one and it truly made me reflect. 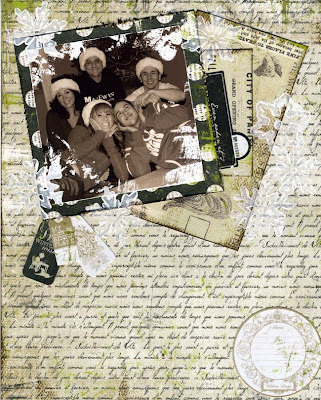 I love that with each collection, it not only gives you gorgeous papers and details to work with, it really makes you stop and think about your life, your family and why we scrapbook. 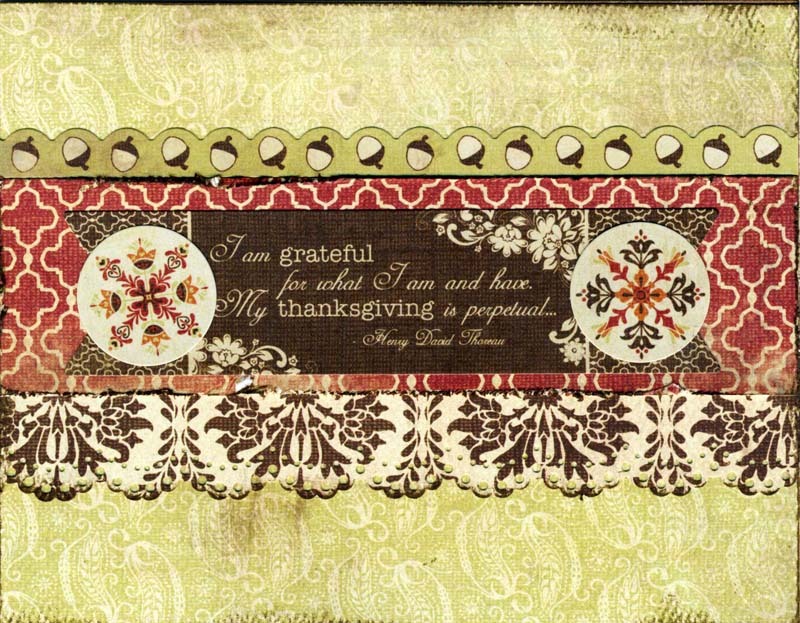 The collection I'm sharing with you is "Thankful". I just fell in love with the soft muted colors and the sayings. 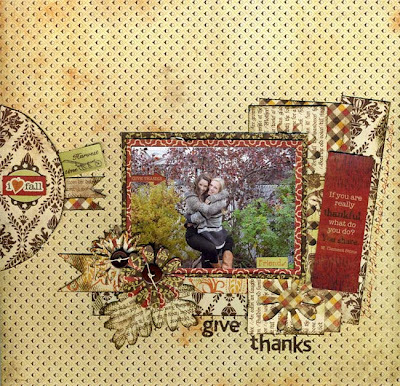 There are so many different ways to use this collection and since I am Canadian, and we have already celebrated our Thanksgiving, I had plenty of family photos to inspire me. Thank you all for letting me share my projects today and sharing a little bit of my story. I loved the saying on the detail sticker so I wanted to showcase it in the layout. I also used a strip of paper that I had punched my flowers out from my previous project. I love to make things out of paper, so I made some leaves and flowers out of the patterned paper too. 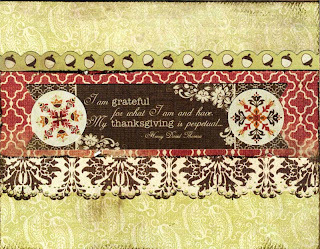 For this layout I wanted to document that we should be Always be Thankful. I loved using the detail stickers for the banner to add a little something extra. I also made some flowers using the papers I used for the layout. I had just a little of the collection left, and when this happens I want to use every last bit, so a card is a great way to use up those pieces. When I saw Shellye's project on Earth Friendly Friday I just had to try it. 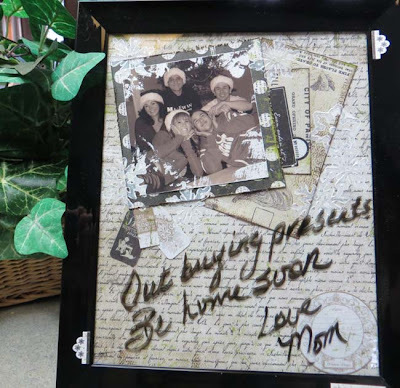 For this I used a 8x10 photo frame and the "Peaceful" collection. For an added effect, I used one of the Detail stickers to pull of some of the color of the photo to give it a vintage look. I'm using this on my counter to write notes for my family. Be sure to stop by Lynn's personal blog and say hello, and please let her know we sent you! Congrats on being a Guest Designer Lynn! I just love your style and your projects today are beautiful! Beautiful projects Lynn!! 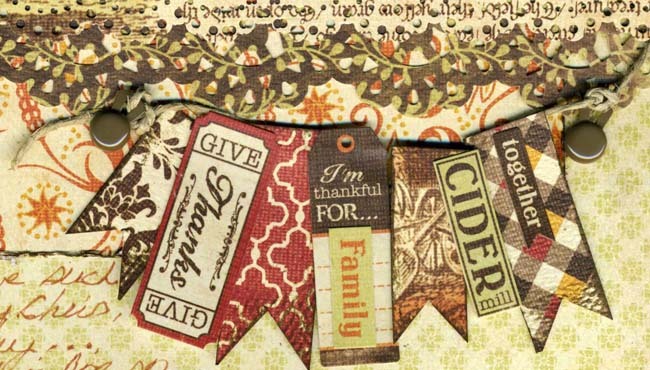 The little banner on your layout looks cool - fun way to use the stickers! Awesome page as always Lynn, you rock! Wow... love all this ... fabulous projects!! Love it!! You are such a talented lady!! Thanks for sharing your story and you beautiful projects. 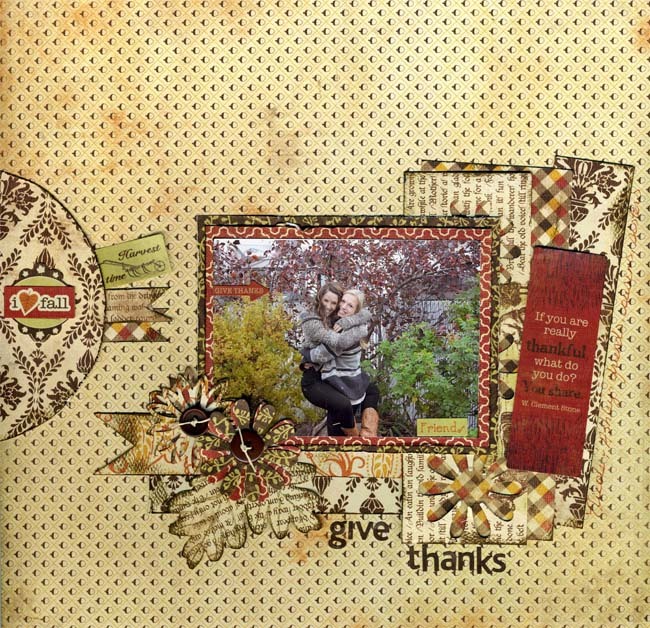 Gorgeous work Lynn...I love all the detail you put into your projects! in love with al your projects!! All of your projects are gorgeous! Such beautiful detail! Absolutely gorgeous layouts! Fab job Lynn! Great layouts. Love using the picture frame as a memo board with that great layout. SO clever. Beautiful projects Lynn! Love that note board for your kids!! fabulous detailed work Lynn, congrats, what an honor! Congrats Lynn! These are wonderful creations!!! Gorgeous work Lynn! Love your pages. Congrats on being featured! Woohoo, huge congrats, Lynn! Your work is simply amazing! So excited for you Lynn!! You did an amazing job with this collection!! Thank you so much everyone for your sweet comments. It was such a blessing to be able to work with the "Thankful" collection. Wow ! You've got talent by the load ! Those layouts are absolutely gorgeous ! Your "Thankful" projects are absolutely beautiful! It's such a gorgeous collection!